In a much-awaited move, the Film Facilitation Office (FFO) was set up by the Ministry of Information and Broadcasting under the operational aegis of National Film Development Corporation (NFDC). NFDC has been working towards easing filming in India and promoting the country as a preferred shooting destination. In an endeavor to further reach out to the filming fraternity across the globe, the Union Minister of State for Information and Broadcasting Rajyavardhan Singh Rathore launched the FFO web portal at the inaugural ceremony of the 49th International Film Festival of India (IFFI) in Goa. 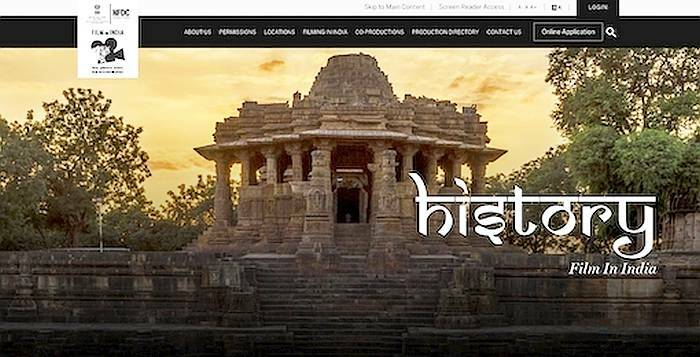 The portal will not only enable online submission of applications for international filmmakers, but also list India's co-production treaties and guidelines of key central government ministries and departments. In addition to this, the portal will showcase a Locations directory, provide a database of the talent available in the Indian film industry, its filming hubs, and also integrate with other such portals developed by State governments. It is envisaged that the portal will help international filmmakers weave India into their narratives and also lead to greater international collaborations. It would be a catalyst for states and other key central government stakeholders such as the Archeaological Survey of India (ASI), Ministry of Railways, etc. to market their locations as destinations. In view of India’s rapidly growing entertainment industry, the portal endeavours to provide information on facilities available in the country for animation, VFX and post-production, thus positioning India as a global production hub. The FFO portal has been designed and developed with a view to be a single point for all filming related information in the country, leading to greater ease of navigation and thereby easing filming in the country.